Working Partnerships Workshop has been moved to the Ramada Inn at 10:30 am!!!! Low wage workers do their part to make Silicon Valley the most prosperous region in the world, yet they struggle every day to feed their families, pay their rent, and take care of themselves and their children when they are sick. Although the region’s top tech firms made a record $103 billion in profits in 2013, one in three Silicon Valley households do not make enough money to meet their most basic needs. While technology companies’ direct employees are often well compensated, many contract out most of their service jobs to workers who are poorly paid and don’t receive basic benefits creating an underclass of tech workers. 2014 saw an increase in worker and community driven solutions as well as significant engagement from large technology companies. These steps signal that there is great opportunity to continue to work together to improve the lives of working people in the capital of innovation and technology, but only if we organize, push and demand a tech economy that works for all. Come hear from service workers in tech including a shuttle bus driver, food service worker, and security officer as well as local community organizers and policy experts about how they are working to build a movement in Silicon Valley to unveil the truth about the invisible workforce in Silicon Valley and lift up tangible solutions. 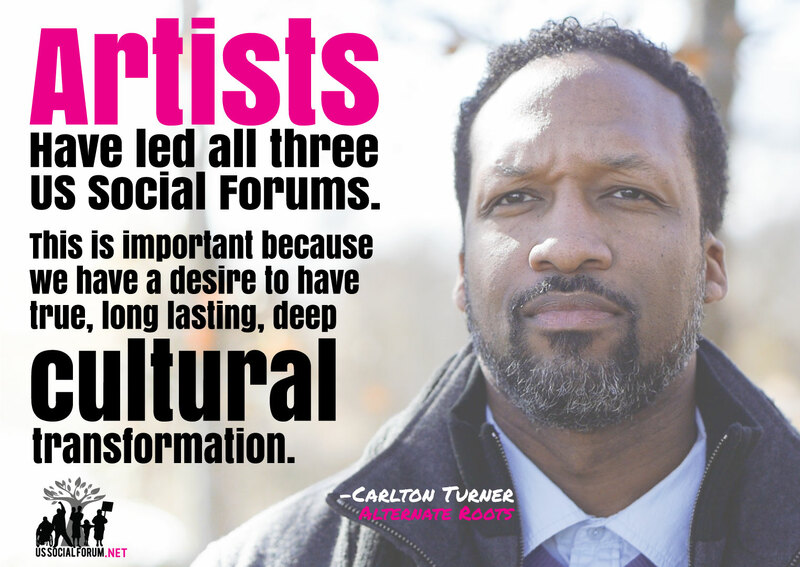 There are a myriad of reasons for holding a 2015 US Social Forum, as a followup from previous US Social Forums in Detroit (2010), and Atlanta (2007). As the presidential election 2016 cycle nears, planning and formulating progressive priorities, presenting third party or independent platforms, and rejuvenating faith in a democratic system through voicing common concerns is an exercise of our natural and civic rights. 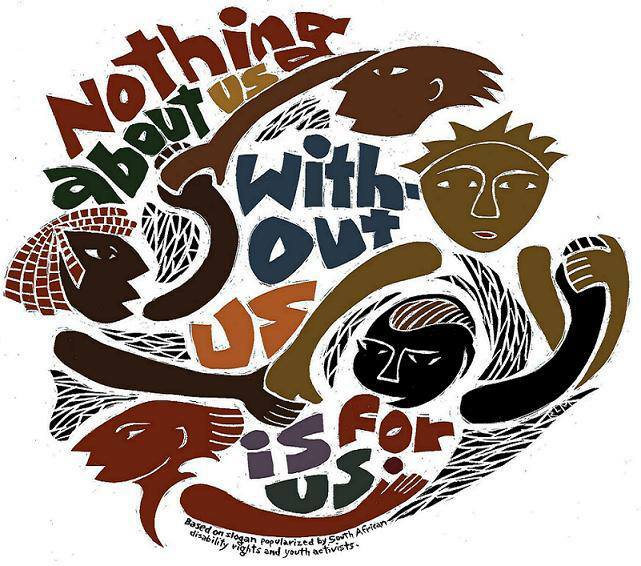 The US Social Forum introduces World Social Forum concerns to the American public; led by recognized American nongovernmental organizations such as the Green Party, Grassroots Global Justice Alliance, Move to Amend, and sponsored by a variety of local stakeholder community organizations. 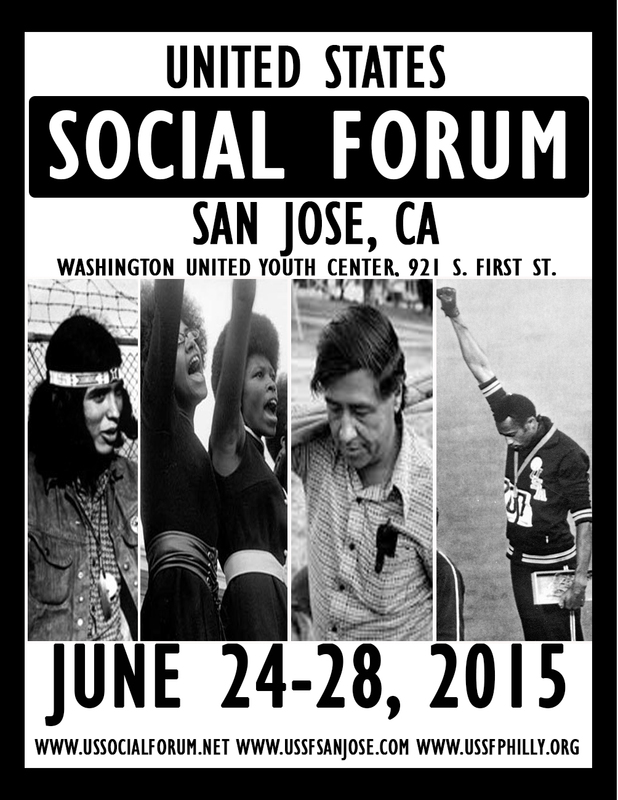 Many familiar grassroots organizations are coming together in Philadelphia, Pennsylvania, and San Jose, California for the U.S. Social Forum June 24th-28th. The human agenda will be made manifest through the convergence of think tanks who realize protecting human life and the planet earth in an era of global overpopulation and climate change is more important than ever before. In Philadelphia, workshops and teach-ins will be held at Temple University with the Green Party playing a more active leadership role. Visit the Philadelphia USSF 2015 @http://ussfphilly.org/. In Jackson, Mississippi, “Summer of Our Power” will be a combined US Social Forum and Climate Justice Alliance Event held on Friday, June 26th to Sunday, June 28th. 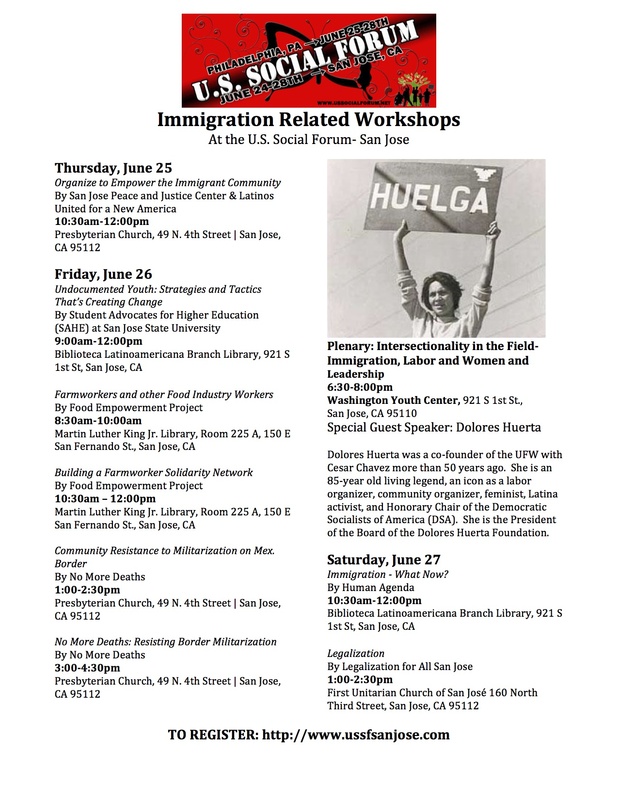 In San Jose, break-out sessions, films, and youth camp will be held at San Jose State University and other nearby host sites, with kickoff and evening plenaries held at Washington United Youth Center. Visit the San Jose USSF 2015 @http://www.ussfsanjose.com/. Details vary by location with a variety of nearby hosts and venues, including help with childcare and conference housing arrangements. In all cities there will be national coordination, such as live streaming conferences, synthesis, or closing ceremony. There also will be how-to demonstrations, tours, short marches, and evening hip-hop music—a little something for each person’s needs for social justice consciousness-raising. US Social Forum Edge of the silicon valley from 60 Seconds News Network on Vimeo. 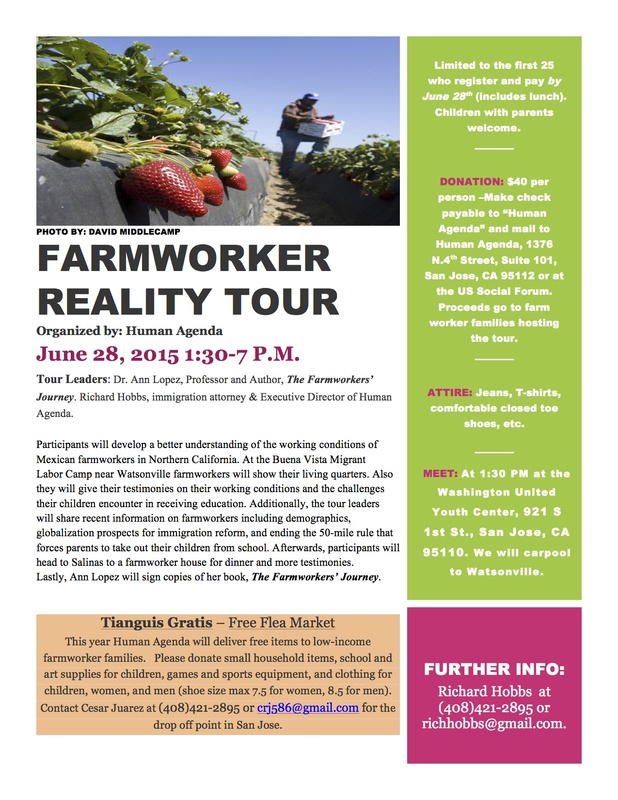 All updates are on the FACEBOOK EVENT PAGE so please invite your folks in the Bay Area! Secondly if you plan on attending the Social Forum and this PMA at all then you must REGISTER HERE! You can personally register for ten bucks or actually register up to 10 people with your organization for $200.00 or $125.00 if it is 3 members. 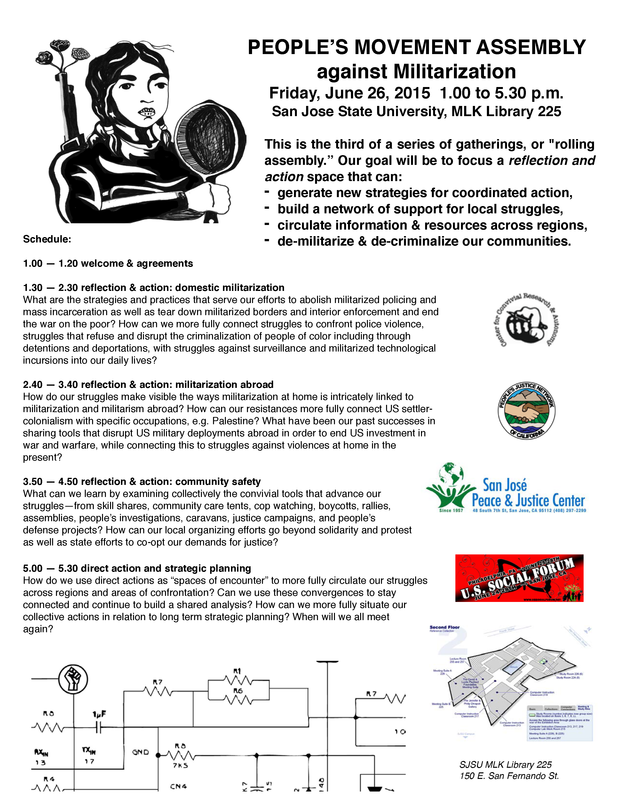 This PMA will bring together activism around massive deportations, prison industrial commplex, displaced communities, border militarization, Paletine solidarity and Political Prisoner amnesty. From Palestine to the Americas people are experiencing the rise of police and military violence in colonized territories. Colonial occupations by the U.S. and Israel have implemented plans of counterinsurgency and counterintelligence heightened with the growing Prison Industrial Complex (PIC). As a result; millions of people are detained and imprisoned for being undocumented or political activity and Political Prisoners go unrecognized by governments. Private contractors such as GEO group, G4S, and Corrections Corporations of America manipulate the global economy and have many private investments by big banks. Non­government agencies such as ALEC and corporations write racist and imperialist legislation to widen the gap of inequity between undocumented people, the working class and colonized/gentrified people. Attendees hope to build a regional plan that will hopefully lead to more PMA’s in the future. This group will strategize ways to build an intersectional movement and support current campaigns. Attendees will explore the similarities between two settler­colonial societies, Israel and the United States, with the objective of understanding the intersectionalities of immigrant rights and Palestinian liberation struggles. Looking at the violation of the human rights and imperialistic borders need to be stop by the unification of locals groups working in strategies that support each other. Day, time and room are TBA so please look out for updates very soon! This PMA will bring together activism around massive deportations, prison industrial complex, displaced communities, border militarization, Palestine solidarity and Political Prisoner amnesty. Attendees hope to build a regional plan that will hopefully lead to more PMA’s in the future. This group will strategize ways to build an intersectional movement and support current campaigns. Attendees will explore the similarities between two settler­ colonial societies, Israel and the United States, with the objective of understanding the intersectionalities of immigrant rights and Palestinian liberation struggles. Looking at the violation of the human rights and imperialistic borders need to be stopped by the unification of locals groups working in strategies that support each other. 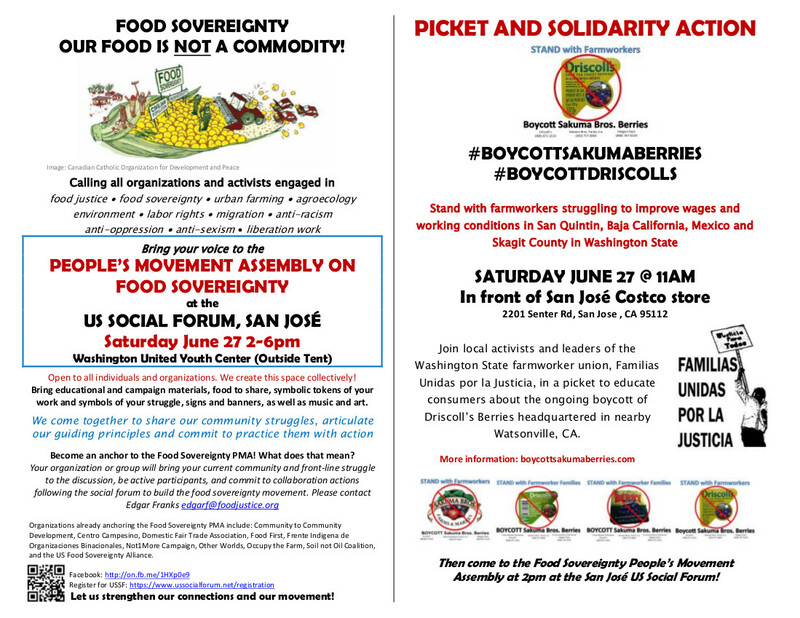 Picket And Solidarity Action: 06/27 at the San Jose Costco! DON’T MISS IT!